"I am very happy that they are here and safe." 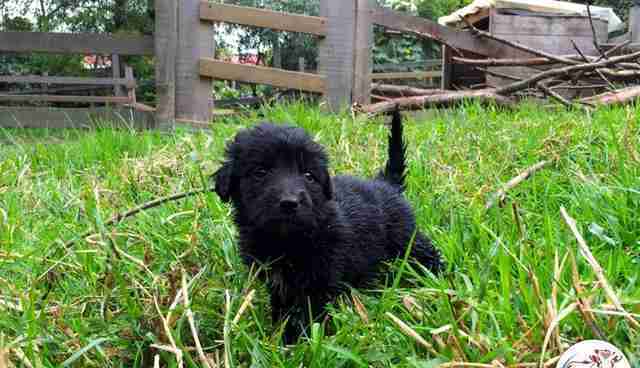 Early Sunday morning, a woman was outside feeding chickens when she suddenly saw a small, black puppy wandering alone nearby. 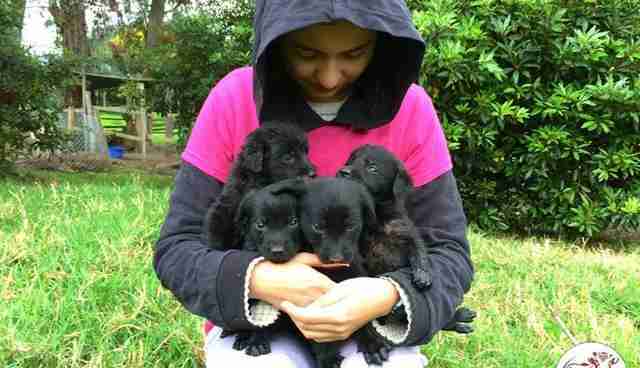 Since she was a volunteer at Juliana's Animal Sanctuary (JAS) in Colombia and sister of founder Juliana Castañeda Turner, she immediately scooped up the puppy in her arms and went to find Castañeda, who urged her to check the rest of the property for more dogs. 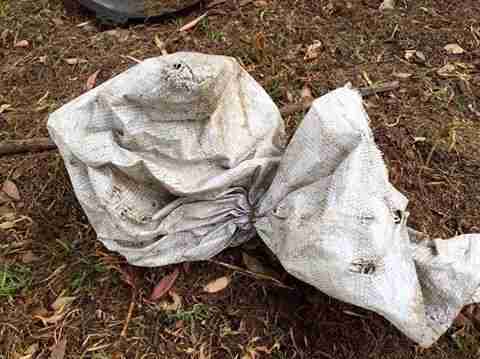 Eventually, the two came across a white sack sitting in a field. 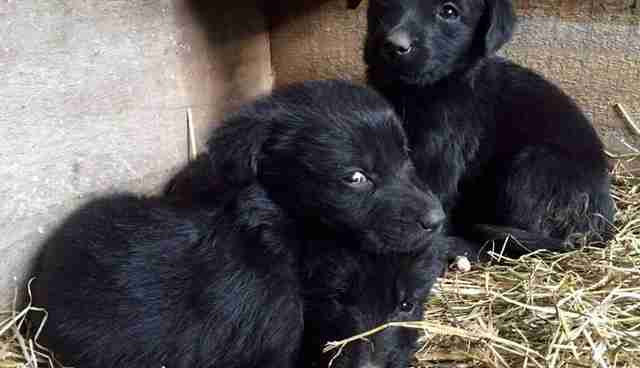 When they unwrapped it, they discovered three more puppies in an appalling condition. 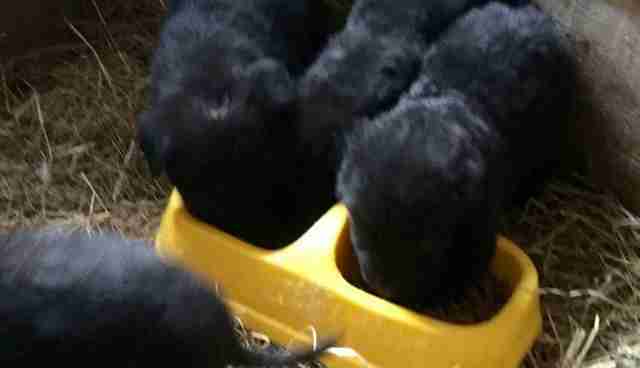 Estimated to be only 5 weeks old, they were weak from hunger and dehydration. They were also covered in fleas. 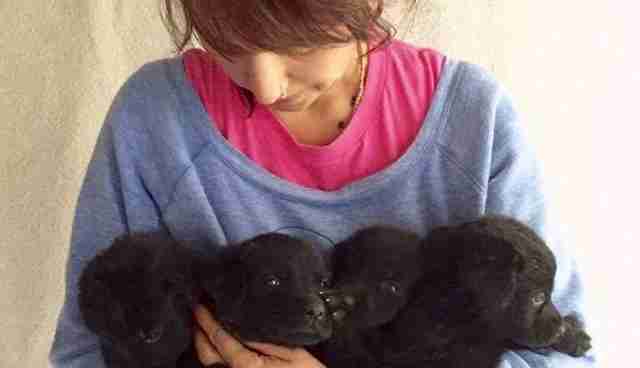 Someone had separated the four puppies from their mother and left them to die. If it weren't the the miraculous escape and discovery of the single puppy who approached Castañeda's sister, they might not have been found alive. "We rushed them to the vet ... [and] started them on typical puppy shots and flea and heart worm prevention," JAS wrote on Facebook. Thankfully, the young dogs were mostly healthy. Castañeda told The Dodo that, although it's not certain, she believes someone who lives nearby is responsible for throwing the puppies away. 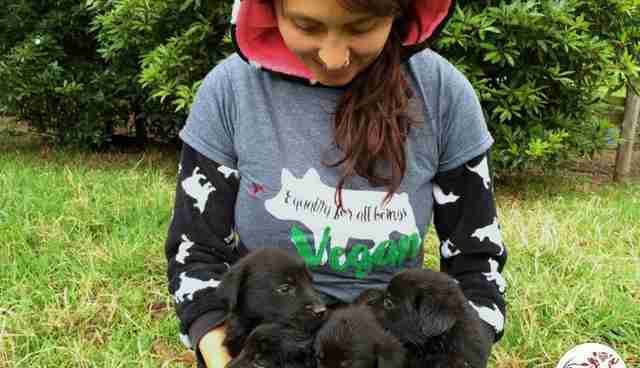 "The people ... [are] very evil with animals and have many dogs," she said. Now that the puppies are in good hands, Castañeda hopes to get them in perfect health before starting to search for their forever homes. However, Castañeda said the search and placing will be difficult, given the overwhelming amount of stray dogs in Bogota alone. "There [are] too many dogs here," she said. If the dogs are unable to find homes, however, they have the sanctuary as a place to call home. 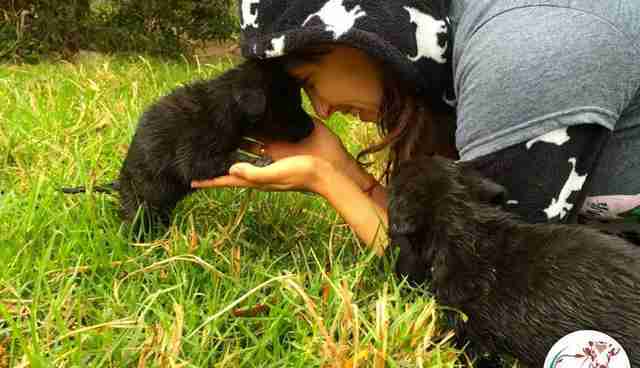 Three of the abandoned puppies are female while one is male and they have a long way to go in terms of learning to trust. "They have fear, [they're] shaking all the time," Castañeda said. "You know I am upset, sad and in shock," she added. "But at the same time, even when I don't have all the money that they need, I will try my best. I am very happy that they are here [and] safe." 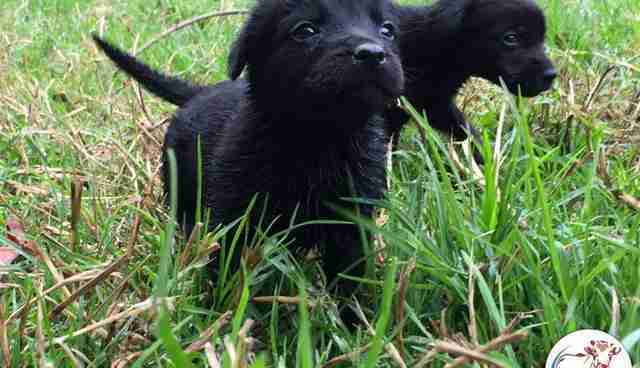 Interested in helping with the care of these rescued puppies? See how you can make a contribution here.